Media agencies have to “get their chequebooks out” and hire the best staff. 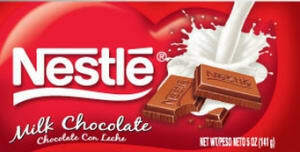 Otherwise they will lose to specialist programmatic players according to Nestle. But Carat’s global chief digital officer reckons the networks will strike back. The FMCG giant’s edict is hardly news. But Nestle spends $3bn on advertising and has historically spent a lot of it via big, networked agencies. The problem is, networked agencies can be hamstrung by HQ over relatively junior staff. Some have to wait three months to fill a vacancy just to pad quarterly figures. Good people, especially those with tech, maths and media skills, do not come cheap. Nestle UK’s head of digital, Gawain Owen, outlined both the threat to publishers and tech providers from walled gardens and the growing pressure on clients to use single tech stacks at Advertising Week Europe. He said that networked agencies faced a pincer movement from both the garden builders and the specialist trading desks. The only way to see off both was to spend more on smarter people, he said. “It’s really important to have a fantastic relationship with your agency, whether that be a specialist trade desk or within a network agency. We have a relationship where we have a dedicated team working for us full time. We have global trading agreement with both Google and Facebook; we do get insights to the tech roadmap,” he said. “But we also work with the likes of TubeMogul and other DSPs in the market. So I think from a client’s perspective – and I throw it back at the agency guys – you’ve got to have the very best people in your agency who are at the cutting edge. People who are as good as the specialist trade desks to help us decipher what we should be doing. Because there is a walled garden being created. But Carat’s global chief digital officer Anthony Rhind was having none of it. The specialist agencies would ultimately be left unable to join the dots, he reckoned. Rhind conceded that programmatic teams had originally been built at speed using specialists rather than the type of ‘super talent’ Owen was urging. Now though, he said agencies were creating programmatic teams within large account structures to go beyond channel and platform. “If you think about programmatic now, you have a strategic lead who needs to understand the comms, and needs also to understand sufficiently about performance to look at what all of the different channels are delivering,” countered Rhind. “Because as a client, particularly in a direct response environment, you don’t really care what the split is between paid search, paid social, programmatic, mobile, video, display – you want outcomes. You want the sophisticated approach to outcome analysis, which requires you to understand a journey across all of those touch-points,” he said. Networked agencies also needed to hire people that “tech literate enough to set that infrastructure up and also to interpret the analytics function to feed into the strategic teams,” Rhind continued.